The editors, an occupational and physical therapist, in collaboration with specialists across the spectrum of interventions, offer practical, holistic, dynamic and effective intervention strategies. They have included descriptions of functional and sensory-based problems and techniques for engaging and skillfully addressing deficits in postural control, muscle strength, coordination, motor planning, sensory processing, communication, education and behavior. Numerous photographs are used to illustrate what you should look for and what the intervention should involve! It is a “must have” for anyone seeking to understand the complexities of Autism Spectrum Disorders and learn practical, effective, easy-to-use intervention strategies that are based on current research. MedBridge and STAR Services are proud to announce the launch of our online course “Is It Sensory or Is It Behavior”, a four-part series. Use the promo code STARservices and receive a 40% discount off the annual subscription, allowing access to all MedBridge courses, including “Is It Sensory or Is It Behavior”. Is It Sensory or Is It Behavior? Part 1: Overview, is the first course in a four-part series geared toward providing the participant with the knowledge base to effectively answer this question. This overview looks at problematic behaviors in clients that display both sensory and behavior components, theoretical foundations for behavior intervention and sensory integration, a format for tracking the sensory and behavior components, and basic evaluations common to behavioral analysis and sensory assessments. Part 2 provides an overview of the sensory systems and their neurological underpinnings and identifies the common behaviors seen within each. Using the Intervention for Challenging Behavior form, participants will learn to identify sensory-based behaviors, define sensory obtaining versus avoiding behaviors, and further identify if an intervention plan is needed. A case study will be used to clearly identify sensory-based behaviors. This course will look deeper into sensory processing disorder (SPD) taxonomy and research related to SPD, both in the general population and in those with autism spectrum disorder (ASD). Specific behavioral characteristics will be reviewed for modulation disorders and interventions introduced. Communication challenges are a leading cause for behavioral difficulties. This course, Is It Sensory or Is It Behavior? Part 3: Social/Communication-Based Behaviors, provides an overview of the common behaviors associated with social/communication-based problems. Using the Interventions for Challenging Behavior (ICB) form, we will review obtaining and avoiding social/communication behaviors and begin to identify intervention strategies and considerations for each. Video case studies will be used for analyzing. Analyzing the Behavior and Establishing a Plan. This course will pull together all the information presented in the previous three courses and will not only answer the question "Is It Sensory or Is It Behavior?" but will help you identify and develop an intervention plan addressing both sensory and non-sensory components. A video case analysis will guide the process as participants complete the Analyzing Behavior Worksheet (ABW). Carolyn Murray-Slutsky, MS OTR, C/NDT, FAOTA, is an international lecturer, author, private practice owner, and clinician. 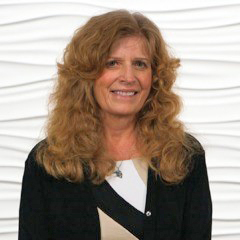 In 2017 she was recognized by the American Occupational Therapy Association (AOTA) as a Fellow for "Leading Excellence in Pediatrics Around the Globe." She received her undergraduate degree in special education from Ohio University; her master's degree in occupational therapy from Boston University; and post-graduate certifications in sensory integration (SI) and neurodevelopmental treatment (NDT) for pediatrics, infants, and adults. Her area of specialization has been in treatment and program development for individuals with Autism, developmental disabilities, and sensory processing disorders. Is it Sensory or is it Behavior- Behavior Problem Identification, Analysis and Intervention. 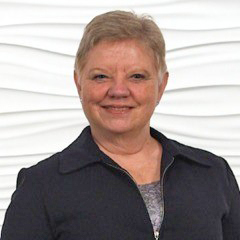 Betty Paris, PT, M.Ed., C/NDT, international lecturer, author, educator, private practice owner, and clinician, attained her Bachelor of Science degree in Physical Therapy from Florida International University and her master's in education from the University of Phoenix. She holds post-graduate certificates in sensory integration (SI) and neurodevelopmental treatment (NDT) in pediatrics and has used her training and experience to develop and render a unique blend of NDT and SI treatments to children and adults with Autism and other varying exceptionalities in a variety of settings. She shares her knowledge and expertise to train therapists, parents, and other professionals through international educational seminars. Betty has more than twenty years' experience teaching for the American Occupational Therapy Association and has been an adjunct professor for several post-graduate Autism Specialist Certification and occupational therapy programs and a Tutor for the Sensory Integration Network of the UK since 2003. She has co-authored in various educational journal publications and books. She serves on the Advisory Board for Southpaw Enterprises of the USA and UK, serves as Consultant for Florida International University's Medical Services Program for the Treatment of Individuals with Autism and as Consultant for Sleep'n Sync, and serves on the Planning Committee for Autism Speaks of Broward County. She has served on the Board of Directors for Abilitations-School Specialties. Her website, www.starservices.tv, has links to articles, educational information, and more. Exploring the Spectrum of Autism and Pervasive Developmental Disorders: Intervention Strategies, a text book for clinicians, parents, teachers, and other professionals. This book provides practical, holistic intervention strategies. Is It Sensory or Is It Behavior? Behavior Problem Identification, Assessment, and Intervention. Developing Visual Motor Integration. A workbook of easy-to-use, reusable worksheets to systematically build skills. Activities build visual spatial perception, perceptual organization, eye-hand coordination, problem-solving, motor planning and fine motor control. Sensory Modulation Laminated Card Series: Sensory Seeking, Sensory Avoiding, Passive Under Responsive, and Positive Behavioral Strategies Cards- A laminated card series addressing practical solutions to regulatory issues. STAR Services was founded in 1999 by Carolyn Murray-Slutsky, MS OTR, C/NDT, Betty Paris, PT,M. Ed. C/NDT and Herman Slutsky, Administrative Director. Carolyn an occupational therapist and Betty a physical therapist, both certified in sensory integration and neuro developmental treatment techniques, have experience working with children and adults with sensory, learning and neurological difficulties. They have used their dual certifications and clinical work experience to develop a holistic, focused, outcome-driven approach to working with children called Dynamic Therapeutic Intervention (DTI) that helps children reach their maximum potential across multiple environments (home, school, clinic, leisure). STAR Services, (State of The Art Resource Services Inc.), is a company dedicated to providing high quality educational and consultative services. We specialize in a holistic, focused, outcome driven approach called Dynamic Therapeutic Intervention (DTI). We provide workshops, educational materials, and consultative services to therapists, professionals and parents to improve functional and educational performance of children. Our goal is to help children and their families thrive. Hillsborough County School System, 1998. Regional Weekend with the Experts. Tazwell-Mason County Special Education Assoc. California School Districts-Orange County School District, 2006. DTI was developed by Carolyn Murray-Slutsky and Betty Paris and encompasses focused, outcome driven treatment strategies aimed at helping children quickly maximize their skill levels. Their holistic approach integrates treatment strategies that are traditionally used in isolation such as; sensory integration, behavioral strategies, neuro-developmental treatment, cognitive strategies, functional therapy, communication and more.